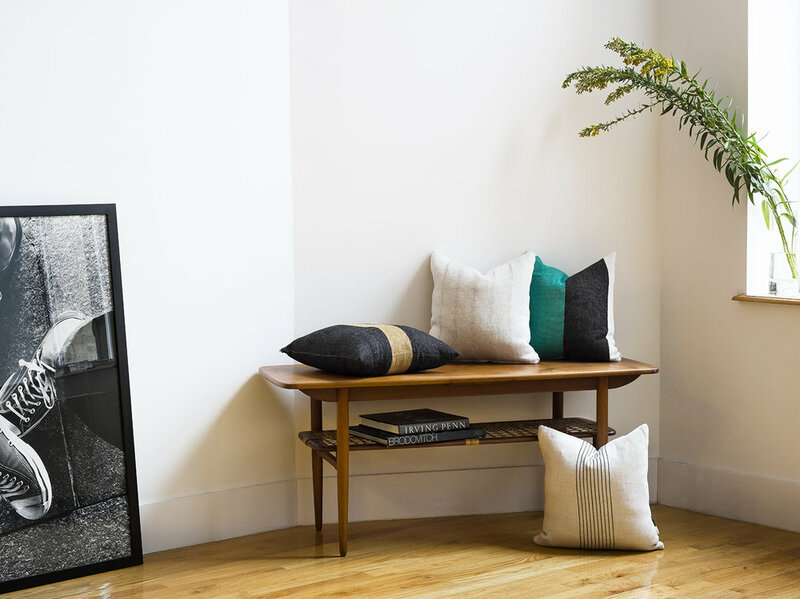 Sturdy and tailored, these pillows add texture and detail without being fussy. The hand-loomed linen process creates a wonderful nuance and variability, ensuring that no two pillows will ever be the same. Lead time is approximately two weeks. Every once in a while, I put the business of running a business aside and simply play. These pillows are the result of this play: folding and crossing, weaving and aligning the very simple stripes of my tapes into a larger geometry. We then hand applied four of these patterns onto a basket weave Czech linen fabric that complements the textural nuance of the hand weave to create this limited edition of throw pillows.